Choose Your Perfect Electric Plan in Round Rock, Texas! Direct Energy is the electricity solutions provider you need for your home in Round Rock, Texas. Old Settlers Park is just one of the places you can pass the time here. Don't spend any more time thinking about ways to save on your electricity bill--we're here for you and ready to be a partner in your home today. Direct Energy has already earned the trust of over 4 million customers across the United States and Canada, and it's time we tell you why. We may be one of the largest residential energy retailers in North America, but we provide big-business know-how without giving up the personal touch you'd expect from a small-town energy provider. See how we provide best-in-class solutions for our residential and business customers! Direct Energy has plenty of specially-designed offerings across North America to support your energy needs. Feel empowered to track, understand and manage your electricity use with our simple solutions. Why waste time thinking about your electricity, when you could be enjoying a day at the ballpark? Don't let other electric providers throw a curveball your way any longer--switch to Direct Energy! Direct Energy offers you peace of mind during Round Rock's scorching hot summers. We have the products and prices that are right for your home and your budget, because you shouldn't have to fret about your electricity bill. 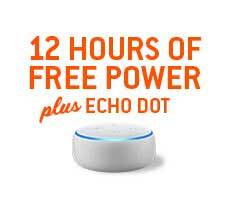 We offer a wide array of plans, from Echo Dot plans to a simple fixed rate, which means your rate won't be affected if changing seasons cause prices to soar. You can count on competitive pricing and superior customer service with all of our plans, but those aren't the only benefits to look forward to. We make managing your plan simple. Once you've figured out your perfect plan, you can use our Online Account Manager to view your bills, check out exclusive offers, and track your usage. No matter what your energy needs are, we provide the knowledge and tools to help you become more energy-savvy and spend less on your electricity bill. Save the money in your wallet, and the environment, by visiting our Learning Center. There, you can learn some tips to reduce the amount of energy you use. Direct Energy is not your standard electricity supplier in Round Rock, Texas. You have the power to pick your electricity provider, so why not choose the company that offers you the tools and technology to Live Brighter? Energy can be a mysterious commodity. We all use it, yet it's not often clear as to how our usage converts into what we pay. Direct Your Energy can clarify this relationship. 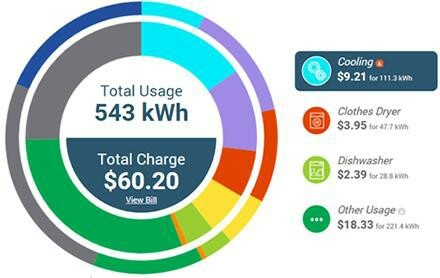 Not only will you see your daily energy use, but it will be broken out at the appliance level to offer you a deeper dive into your energy use! If you want to learn more about your energy use, you can browse through Direct Energy's Learning Center and blog for access to extensive tools. Everything from green living and home improvement tips to safety tips, Direct Energy is dedicated to helping you understand and manage your energy use and take care of your home. You and your Round Rock home need an energy company dedicated to you. You deserve better than some average run-of-the-mill provider. 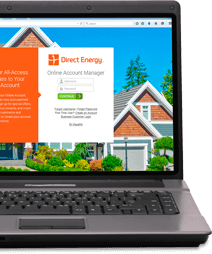 Make Direct Energy your energy provider, and take control of your energy use and Texas electricity bills every month! Are you changing Round Rock electricity providers? Or maybe you need new service? You can trust us to make the process simple. And if you're trying to decide between Direct Energy and Green Mountain Energy, learning more about the benefits of being a Direct Energy customer will make things clear. 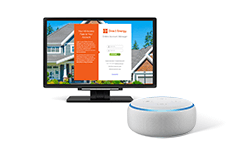 It doesn't matter if you want the stability of a fixed rate or the technological wizardry of a connected home bundle, we have the plan that fits your needs. We even make paying your monthly bill stress-free with options like Paperless Billing and Auto Pay, all managed in our easy-to-use Online Account Manager! The same electricity plan is not the best for everyone, but all customers have some things they can count on - like fixed rates and great customer service! Take advantage of our advanced technology and energy insights tool, Direct Your Energy, to manage and understand your energy usage. Take a look at our library of resources to increase your energy efficiency and save on your monthly bills. With a commitment to helping you spend less money on your electric bill, we separate ourselves from other electricity companies. By just signing up for and participating in the Reduce Your Use Rewards program, you could get a 10% discount on a future bill! We have everything you need to live smarter. Get started with Direct Energy today.